Another day, another tweak. 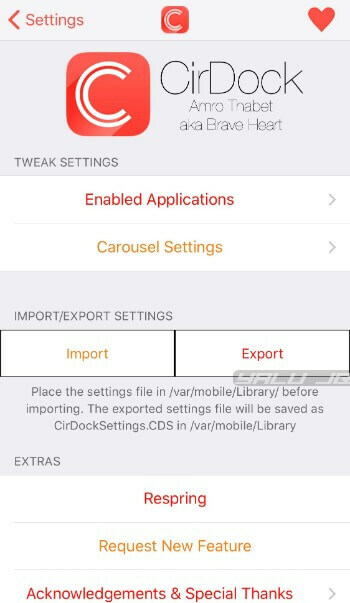 CirDock brings a rotatable dock to devices running iOS 11 and newer versions. 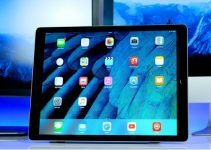 Here’s how you can install and use it on your iPhone or iPad. The stock iOS dock is limited to a measly five applications. Sure you can indirectly add an infinite number of apps by creating folders – but it leaves a lot to be desired. That is where this new tweak comes in. CirDock adds a multi-app rotatable carousel dock to your iPhone and iPad. Originally developed by Amro Thabet, this tweak is now maintained by Julio Verne. It lets you add as many apps as you want to your dock along with slick animations. You can mess around with your dock and create multiple configurations to match your setup’s overall aesthetic. Remember, it moves all the applications on the dock to the home screen. So please take a screenshot of how your dock currently looks like and then respring for the tweak to commence. Enabled Applications – Adds apps and games to the dock. Carousel Type (Linear) – Selects the animation style for the carousel. 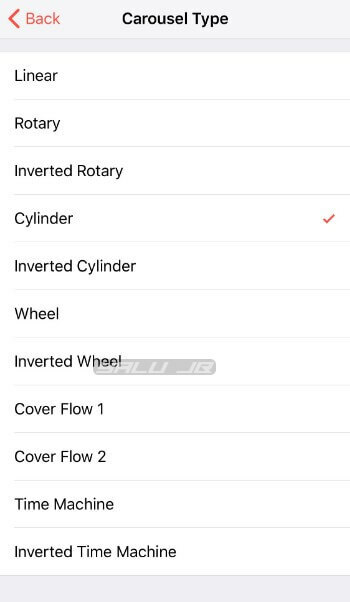 You can select any of the given animations – Linear, Rotary, Inverted Rotary, Cylinder, Inverted Cylinder, Wheel, Inverted Wheel, Cover Flow 1, Cover Flow 2, Time Machine, Inverted Time Machine. 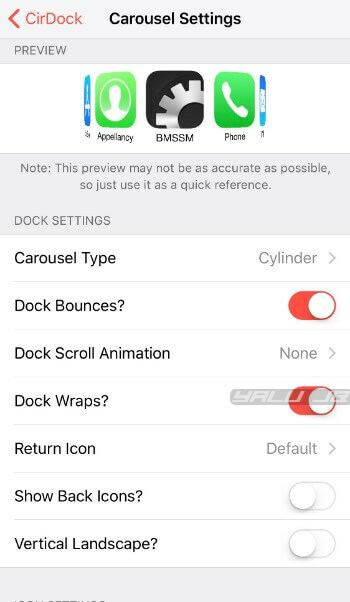 Dock Bounces? (on) – Adds a bounce animation to the dock. Dock Scroll Animations (off) – Adds scroll animations to the dock. You can select any of the following animations – Bounce, Flip, Pulsate, Rotate, Wiggle. Return icon (Default) – Sets the return icon to an app. Show Back Icons? (off) – Shows back icons. Vertical Landscape? 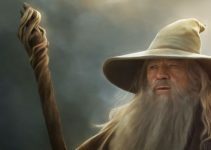 (0ff) – Enables vertical landscape for the dock. Remove Icon Labels (off) – Removes icon labels from dock apps. You should enable it if you have removed icon labels system-wide. Remove Icon Badges (off) – Removes icon badges from dock apps. Highlight Running Apps? (off) – Highlights apps that are currently running in the background. 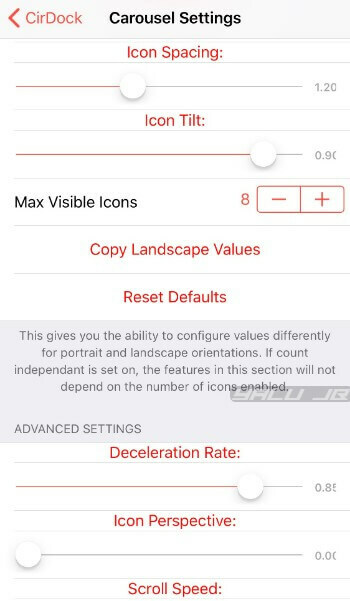 The “Differentiated Settings” section lets you create for the portrait mode as well as landscape mode. These settings are meant to be used by power users and developers only. 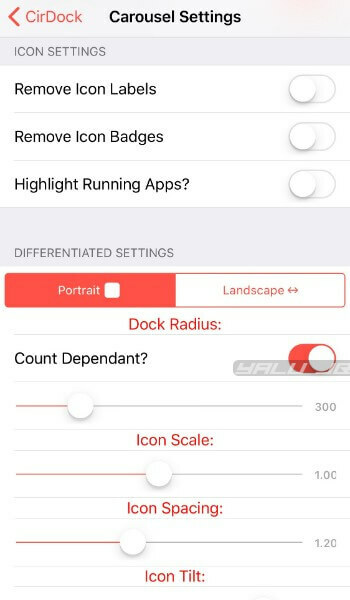 Icon Scale – Sets the size of the icons. Icon Spacing – Sets the separation between icons. Icon Tilt – Sets the tilt value for icons. Max Visible Icons – Sets the number of icons visible in the dock without scrolling. 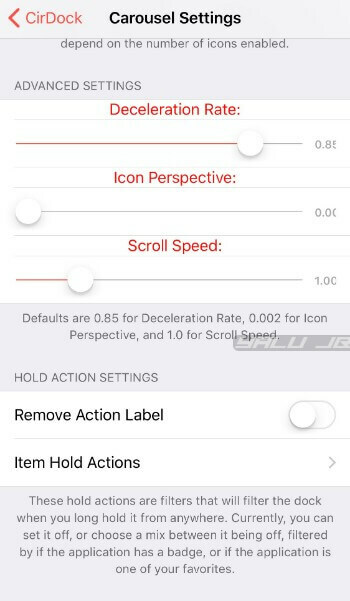 Deceleration Rate – Sets the deceleration rate of the icons. Icon Perspective – Sets the perspective value for the icons. Scroll Speed – Sets the scroll speed of the icons. Remove Action Label (on) – Removes the action label present in the top-left corner of the dock. Item Hold Actions (Display Running Apps) – Defines the “long press” actions for app icons. 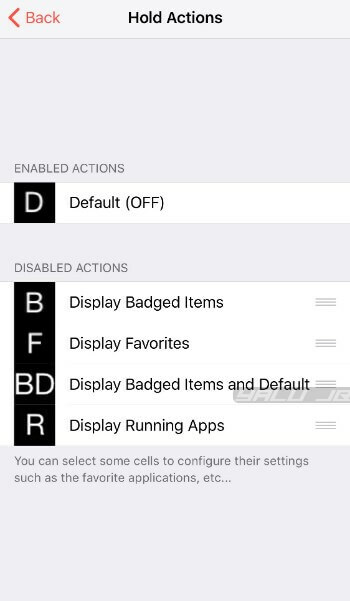 You can set it to display badged itesm, favorites, and running apps. Your dock will look something like this if you use the aforementioned setup. The dock is undoubtedly the most prominent element of the Springboard. So if you want to add more icons to it along with cool animations, CirDock is worth an install. 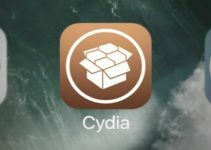 Furthermore, it is one of the old-school jailbreak tweaks from the days so you might want to install it just for old times’ sake. Recommended. As far as compatibility goes, you will have to uninstall FloatingDock. 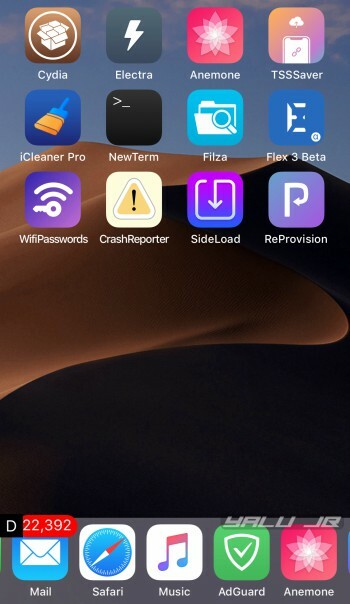 Other tweaks such as ClearDock are fully compatible with CirDock. CirDock is available for download on Julio’s repo (http://julioverne.github.io) for free. It is compatible with iOS 11. No longer compatible with 10.2. One of my favourite tweaks because it worked in landscape on my 6s plus (well enough). Any chance to get an older version? Do you have Anemone enabled? If yes, try disabling it. Is there a configuration where I can have a page of 5 icons and then swipe to a second page on five icons. I don’t see how I can set it up that way. When I respring I don’t see the first five; but the first icon in the center of the dock. Did you change the default values? If yes, go back to the default ones and you will get a paged dock. 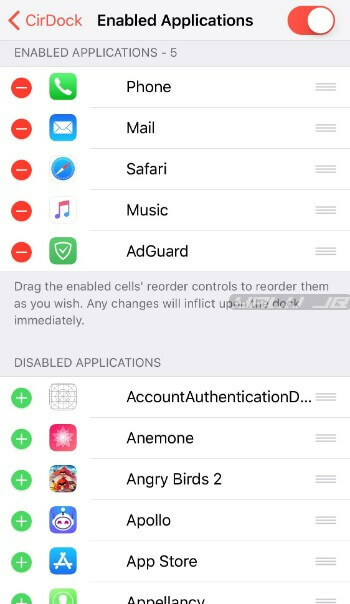 I Reset to Defaults, added ten apps to the Enabled Applications. Set Carousel Type to Linear, turned Remove Icon Labels ON, and turned Remove Action Label ON. When I respring I see three icons in the dock, with the first icon in the middle of the dock. I would like to see the first 5 icons and when I swipe, see the second five icons. Previously I used Infinidock and I’d like to have that functionality back. CirDock has many wonderful options but I can’t seem to get it to do what I want. You need to tweak the values in Portrait Settings and Carousel Settings. Sorry, I just can’t get it. Thanks for your help. How does the preview in Settings look like? Great tweak BUT it leaves a capital letter D on the left side of where my dock is. How can I remove that? You can change it from the gestures options.